Description: We have an abundance of talented people in our community and one that stands out is Mary Ann Watts from Watts Photography. Mary Ann is a local multi-award winning filmmaker having won the Gold Award sponsored by the Wasaga Beach Brewing Company for her video advertisement “The Crown Eagle” at the Southern Georgian Bay Film Festival formerly known as the Wasaga Film Festival in Wasaga Beach. 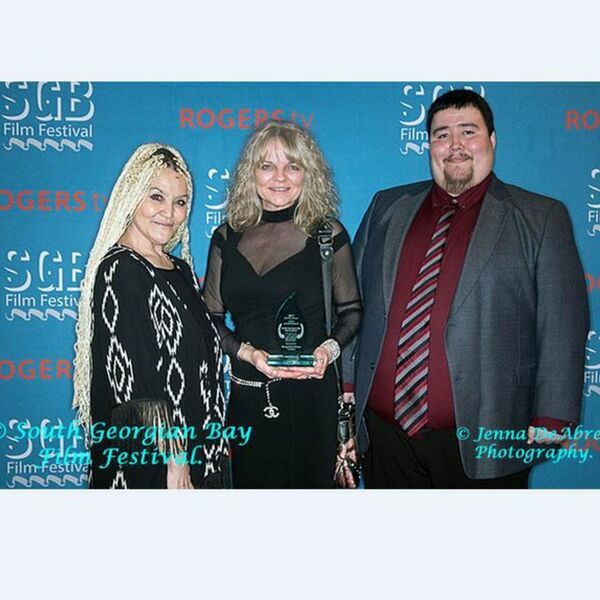 This marks her fourth win as Mary Ann has won in previous years at the Wasaga Film Festival from 2014 to 2016 with her music videos. Joining Dianna this week on BEACH CORNER is Mary Ann Watts who will share her passion as a filmmaker and tell us about her award winning video advertisement “The Crowne Eagle”. Please enjoy & SHARE this great local programming. We have an abundance of talented people in our community and one that stands out is Mary Ann Watts from Watts Photography. Mary Ann is a local multi-award winning filmmaker having won the Gold Award sponsored by the Wasaga Beach Brewing Company for her video advertisement “The Crown Eagle” at the Southern Georgian Bay Film Festival formerly known as the Wasaga Film Festival in Wasaga Beach. This marks her fourth win as Mary Ann has won in previous years at the Wasaga Film Festival from 2014 to 2016 with her music videos. Joining Dianna this week on BEACH CORNER is Mary Ann Watts who will share her passion as a filmmaker and tell us about her award winning video advertisement “The Crowne Eagle”. Please enjoy & SHARE this great local programming.